Because Apple won't allow any browser technology besides Webkit on iOS, Mozilla can't bring Firefox to Apple's mobile devices. But instead of ignoring the platform completely, they're working on Junior: a Webkit-based browser that eschews tabs and the standard URL bar in favor of a new UI. 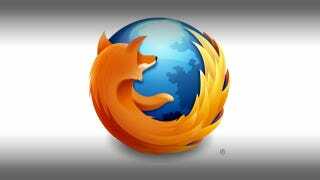 That's not to say that you can't have multiple windows at the same time, but Mozilla has pushed many of the browser's functions down into a secondary level in the name of simplicity. Mozilla considers the current design of browsers to be outdated, and see their iPad project as a chance to experiment. So when you're interacting with the main window of the browser, all you see are two button overlays on the left and right edge of the screen's lower section (where your thumbs theoretically rest with a tablet in hand). The left side will allow you to navigate back, with a long press revealing added functions (forward/reload/function). The right button takes you into the lower depths of the browser, where you can switch between recently opened pages, launch bookmarks, and search or enter a new URL.